Ever since The Secret of Monkey Island, point-and-click adventures have been a staple in video games. It’s a niche that refuses to fade out thanks to an ever-present fan base. 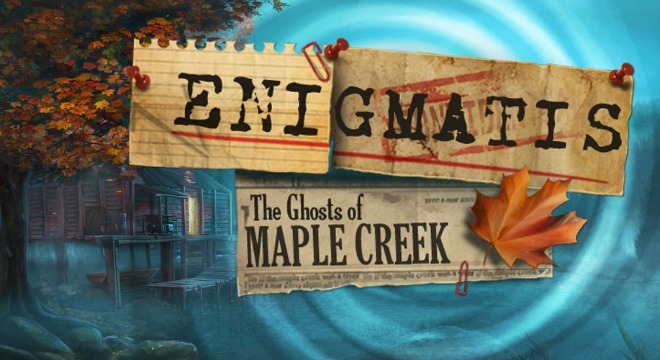 Enigmatis: The Ghosts of Maple Creek is the latest adventure that will leave you clicking on every corner of the screen as you search for the truth behind missing people, murders and your own memories. The ghost story of Maple Creek won’t leave you on the edge of your seat, but it covers the basics. Campfire tale — Creepy tales should be engaging and intriguing. Enigmatis: The Ghosts of Maple Creek doesn’t have any epic twist or shocking reveals, but despite that the story remains interesting. With a well-timed trickle of information constantly being provided it’s enough to get you through some of the game’s more tedious parts. Everyone’s welcome — The game is rated T for Teen, yet it’s truly something anyone can enjoy. There are a few parts that younger players might find spooky, but it’s more startling than scary. 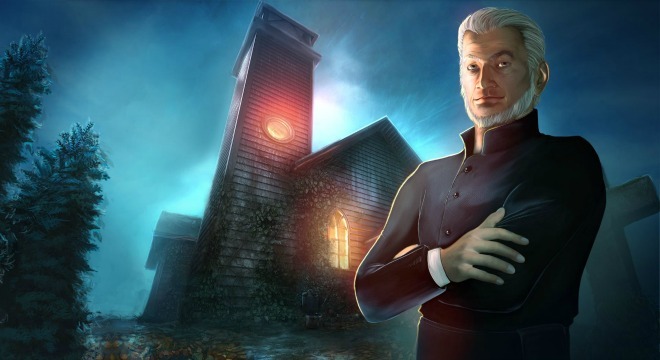 Enigmatis: The Ghosts of Maple Creek is a great portal to introduce someone to video games who would normally be hesitant to try them, because it won’t overwhelm them. Skip it –A point-and-click adventure’s greatest downfall can be its gameplay. If the gameplay is not engaging enough, or just out of place, it can get in the way of the story. 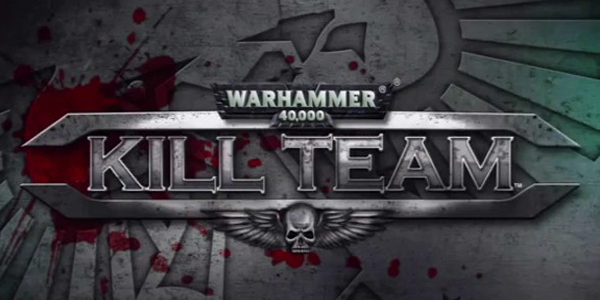 Forcing players through bland mini-games and unreasonable puzzles. However, Enigmatis: The Ghosts of Maple Creek gives you the option to skip nearly every puzzle or task, giving you the ability to keep things moving if you’re only invested in the story. 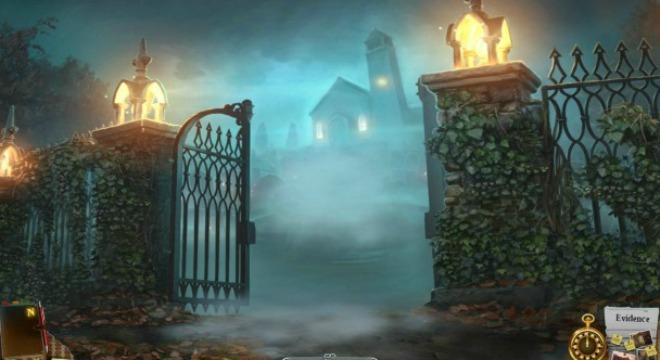 Dead end — Once you reach the final climax, Enigmatis feels shallow and rushed. It wraps things up in such a way that almost makes your journey seem pointless. There is closure, but it isn’t very satisfying. 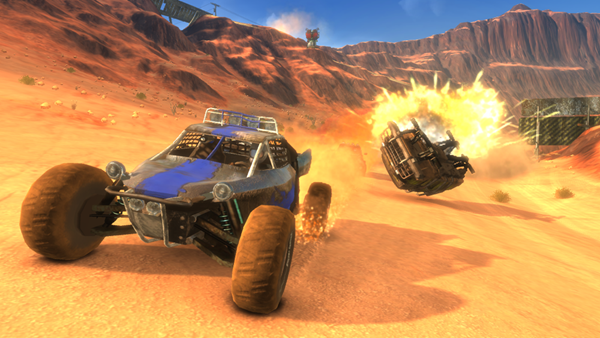 I spy — The main gameplay mechanic is also the worst part of the game. To find key items the player must search through trash, suitcases and other cluttered areas in a giant game of I Spy. While looking at a screen of assorted knickknacks you have about 20 different items to collect hidden in the mess. Only one item will be relevant, while the others serve as distractions and giant wastes of time. The worst part is you revisit the same piles several times through the course of the game. Factor in that there isn’t much “gameplay” to begin with and you’re left with a repetitive and forced game that no one wants to play. What did you say? — Enigmatis‘ voice acting is as bad as it is comical. The main character is fitting, as she delivers her lines with the appropriate tone and projection. But everyone else is either hilarious, for all the wrong reasons, or not believable. This isn’t a game that needed stellar voice acting, but maybe it should have featured people who sounded like they were at least trying. Enigmatis: The Ghosts of Maple Creek isn’t horrible, but it isn’t great. It finds itself somewhere in purgatory, floating in between the spectrum. On one hand, you have a game that lets you skip all the gameplay, and enjoy a simple ghost tale. On the other hand, you have a game with roundabout puzzles that are not so fun to play through. Either way, Maple Creek is filled with mystery and trash. 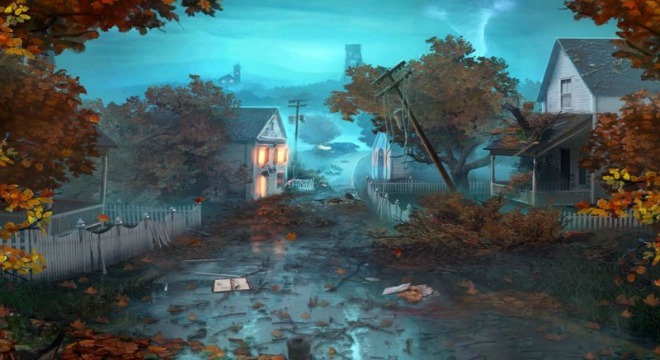 Enigmatis: The Ghosts of Maple Creek was developed by Artifex Mundi on Xbox One. It was released on April 8, 2016 for $9.99. A copy was provided by Artifex Mundi for review purposes.